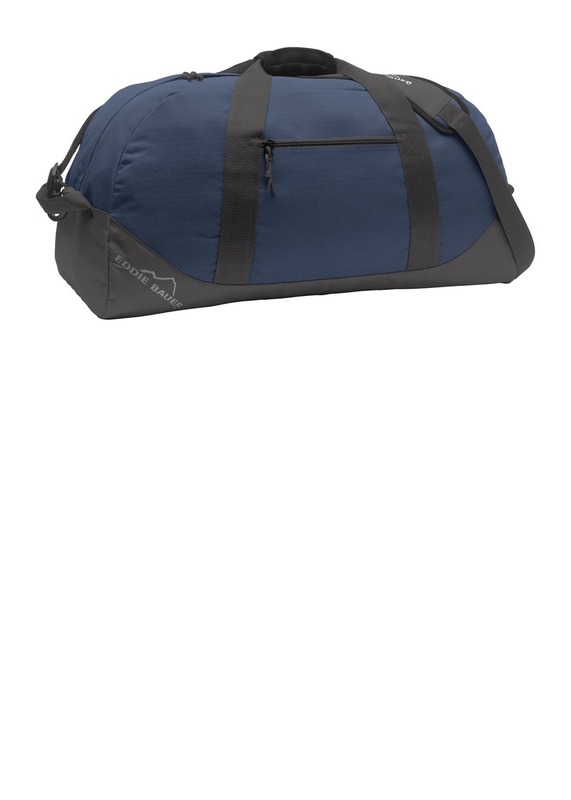 This all-utility duffel is sized for an overnight getaway or an extended adventure. Built from durable ripstop it has a spacious main compartment for unrestricted packing. A secure zippered front pocket safely stores smaller items. Rugged 600D polyester ripstop with PU coating Bottom is 600D polyester woven fabric with PU coating Padded grip handles End haul handles Detachable adjustable padded shoulder strap Contrast Eddie Bauer logo printed on shoulder pad and lower front panel Four durable protective feet on base Dimensions: 26 l x 13 w x 11 d; Approx. 3 718 cubic inchesNote: Bags not intended for use by children 12 and under. Includes a California Prop 65 and social responsibility hangtag.